It's July 1976. In London, it hasn't rained for months, gardens are filled with aphids, water comes from a standpipe, and Robert Riordan tells his wife Gretta that he's going round the corner to buy a newspaper. He doesn't come back. The search for Robert brings Gretta's children - two estranged sisters and a brother on the brink of divorce - back home, each wih different ideas as to where their father might have gone. None of them suspects that their mother might have an explanation that even now she cannot share. This is the fascinating story of a family that to all intents and purposes is "normal" but we learn that all is not what it seems. A very good read. We get to know the different fzmily members and their stories in tnis intriguing story or series of stories. The effect of where you live as opposed to where you were born is noticed very clearly. Re ommended for all who enjoy a well told family story with interesting characters. 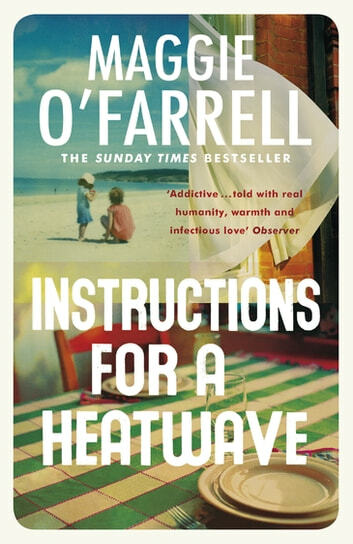 A family saga of secrets and lies mostly happening in 70s London in the middle of a heatwave. The heat is a palpable character in the story bringing things to the boil, exposing what has been hidden for years. I related mostly to the character of Aiofe, youngest daughter, the others made me want to shake them. An enjoyable read however. Very disappointed with the ending. I wouldn't recommend this book. I feel like I have wasted time and energy on an unfinished book! This book was an easy read. 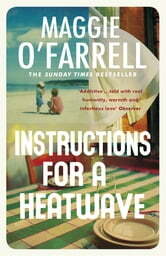 O'Farrell certainly has the handle on family relationships and how things are not always as they seem on the surface. I enjoyed this book and am looking foyward to reading more of her books.